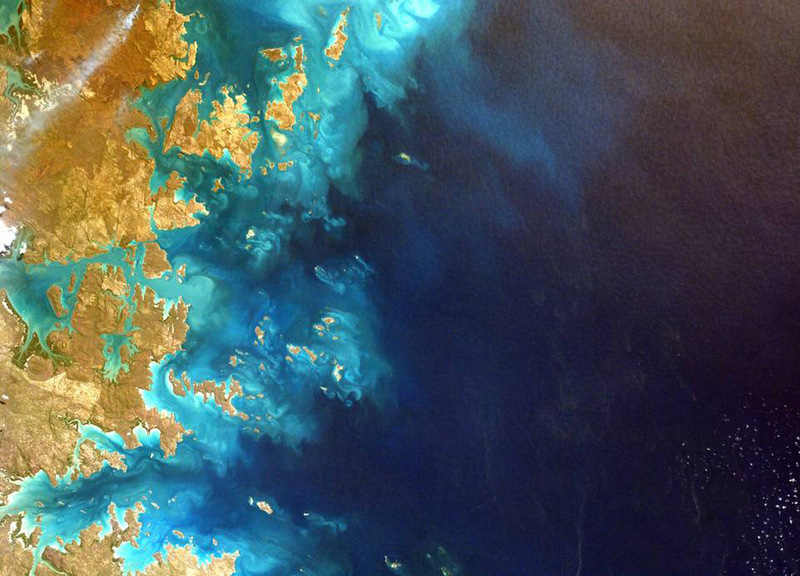 This stunning image of the northwest corner of Australia was snapped by a student on Earth after remotely controlling the Sally Ride EarthKAM aboard the International Space Station. The EarthKAM program allows students to request photographs of specific Earth features, which are taken by a special camera mounted on the space station when it passes over those features. The images are posted online for the public and students in participating classrooms around the world to view. EarthKAM is the only program providing students with such direct control of an instrument on a spacecraft orbiting Earth, teaching them about environmental science, geography and space communications.The project was initiated by Dr. Sally Ride, America's first woman in space, in 1995 and called KidSat; the camera flew on five space shuttle flights before moving to the space station on Expedition 1 in 2001. In 2011, NASA and Sally Ride Science installed a new camera system in a downward-pointing window on the station. This camera system is responsible for taking and downloading student image requests.